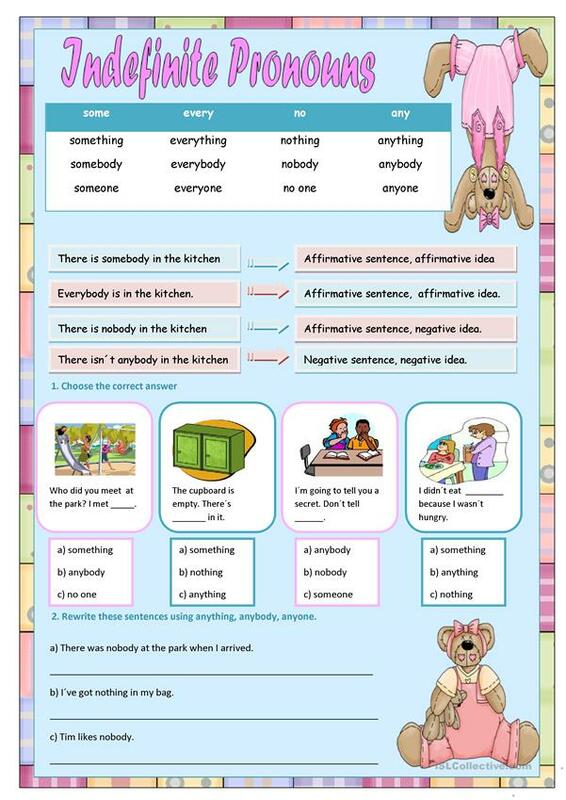 2 pages filled with activities for revising indefinite pronouns. This printable, downloadable handout is meant for elementary school students at Elementary (A1) and Pre-intermediate (A2) level. It is valuable for revising Personal pronouns in English, and is a valuable material for working on your students' Writing skills.